Hi. I’m a little confused. Are they trying to find a site for the temporary skate park? Or for a permanent park? 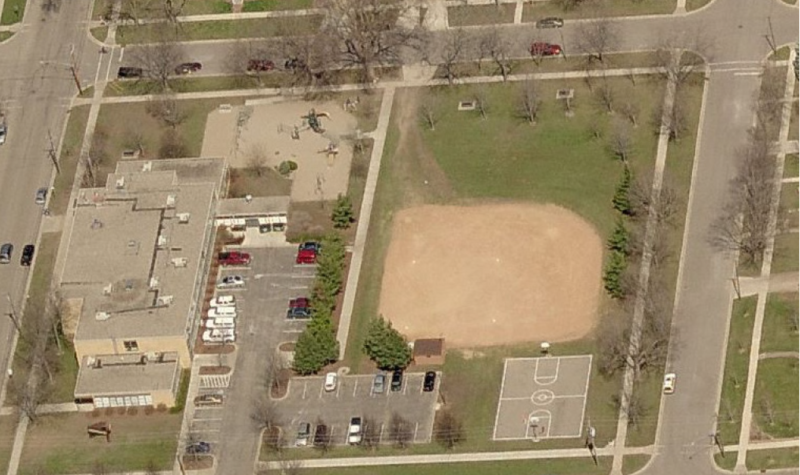 Also, the corner of the park you have pictured is the northEAST corner (there’s a playground on the northwest corner). Is the plan to cut down those trees? There’s a basketball court currently on the southeast corner: is that what they have in mind? Daniel, yes, northeast corner. I’ve fixed that now. The PRAB realizes that to get a permanent location decided and then prepped will likely take several more months. Meanwhile, the City has the equipment in storage NOW and it could be put to use at a temporary location this year. As for Washington Park, I thought they were considering the basketball court location but no longer. It’s apparently pretty popular. I don’t know if they’d cut down the trees in the northeast corner. But now that the City has the skate park equipment and the Union of Youth has the money to put towards an asphalt or concrete pad for it, it’s time to get this done. Way past time to get this done, in fact. Why do you feel Old Memorial is a better site than Ames Park? Sean, one of the PRAB members explained to me that it was important for parents of very young skateboarders to be able to drive up and drop their kids off and pick them up at the skatepark. There’s no convenient place to do this at Ames Park. I saw this happening firsthand at Eagan’s skatepark earlier this week. yesterday’s New York Times had a fabulous slide show of the new parks built on the land reclaimed from the old Yankees’ Stadium site: Heritage Park with its three bluegrass ball fields, and the River Avenue park which has a playground area with a huge graffiti wall, and next to the ball fields is their new skateboard park. It’s an all concrete park and it is evident what a beautiful sculptural element a skateboard park can be, elegant and serene… yes, SERENE. Why , oh why, does Northfield have to be so backward and conservative in some areas of its collective ‘thinking’ ? Kiffi- I think there is a big difference between being “conservative” and being self-serving. One can be conservative in their actions and demeanor without being selfish. Perhaps we have not evolved as much over the last few millennium as we might have hoped. Most of us agree that Northfield could use a skate park. The big question is where it should be located. There are issues with the Memorial Park site — which include the industry standards for the location of such a park. I’d invite people to consult the NESNA page on this topic, located at http://northfieldeastside.org/alerts/memorial-park-skate-park-discussion/. As an East Side Neighborhood resident, I look forward to the eventual placement of a skate park at Memorial Park. I hope it might be in place in time for my 2-year-old daughter to make use of it. I have always thought that Memorial Field was the best location for a skate park. Consultants hired by the city in the past have supported that view, but many of my East Side neighbors disagree with that conclusion. The NESNA page that Scott (comment #6) refers to mentions noise as the primary reason not to locate the skate park at Memorial. Skate parks, the source indicates, produce noise levels of roughly 80 db. I live several blocks further west on 5th St., and I am regularly exposed to similar noise levels from the railroad crossing on Fifth Street, as well as noise from college students coming home late to Rippley-owned properties from drinking establishments downtown. Whatever. We live in a relatively peaceful, if not idyllic, community that caters to people in their upper-middle-class bubbles (I got a pathetically yuppie 21 on Charles Murray’s stupid quiz, so I know whereof I speak). We are generally liberal and tolerant until someone wants to build a wind turbine (which creates imaginary infrasonic noise) or a skate park in our general vicinity. Can we finally stop thinking only about ourselves and build the skate park in Memorial Park where it should be? Oh, and here’s Griff’s story on locating the skate park in Ames Park, which appeared on LoGroNo THREE ****ING YEARS AGO. Let’s just do this, okay, and not keep telling Northfield’s youth that we don’t want them in our neighborhood. Thanks, Rob… I am really disappointed in my East side friends , who allow NESNA to speak for all of them. All the ‘City’ ,and the people who fight against locating a skatepark anywhere… for this or that reason, each location is deemed unfit… all they are telling the kids is that they are not a priority in this community. Instead of setting an example of thoughtful development, NF once again comes in disappointingly late. and this time it’s by once again ‘dissing’ its youth. Actually, I’m unaware of any city-hired consultants who have recommended placing a skate park at Memorial Park (as Rob notes in #8). NESNA has followed this issue pretty closely and has only heard from city consultants who have recommended against additional facilities at that location. If there have been reports in the other direction, please provide specifics. Additional details here would be welcome. Let’s also be clear that no one is telling Northfield youth they are not wanted. However, the city has established guidelines for determining which uses are appropriate for which spaces (in its comprehensive parks plan), and it should follow its own guidelines when possible. Moreover, when the skateboard industry itself recommends certain setbacks from residential areas, that should give us pause. My hope is that there will be reasoned and respectful discussion on the topic. Neighbors have legitimate concerns, just as the skateboard group has legitimate desires. Finding an appropriate location requires balancing those two forces. Delaying the construction of a skate park for years and years and years while we wait for the ideal, problem-free, unanimous-consented-to location to–what? spring up?—that’s a lot like telling the youth that their needs aren’t important enough to take action on. Except it’s not transparent. Rob: the recommendation by Gene Allen Design was actually commissioned by the Skateboard Coalition, and was not, I believe “hired by the City” as you suggest. Regarding Bauer, it’s not clear who hired them. 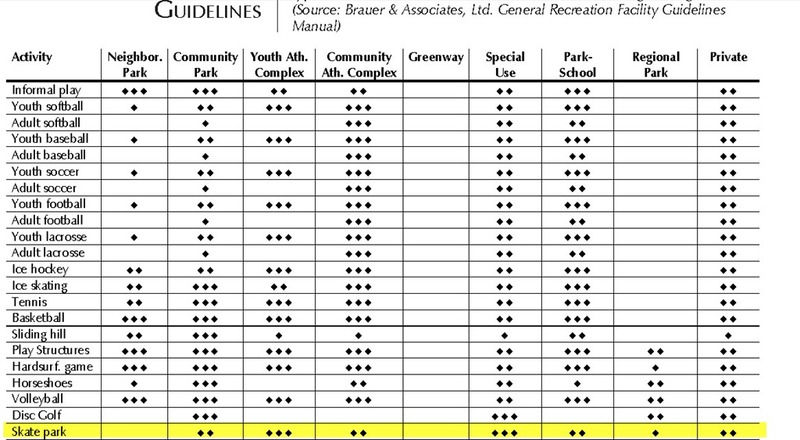 However, note that they acknowledge that Memorial Park may not be appropriate because of the pre-existing master plan. Such noise (perhaps from 7 a.m. to 10:30 pm in the summer) could be problematic if the skate park were located close to residences. But since no one has yet said where the park would be situated in any of the locations, it’s hard to tell. All this to say that the concern about noise can’t be dismissed easily. It deserves consideration — along with all the other issues. Brauer & Associates (not “Bauer,” as I mistyped earlier) was the consulting firm which prepared the March 2008 parks master plan. For that purpose, they were hired by the City of Northfield, and I believe their letter on the skate park would have been submitted as part of that process. Where do you suggest the skate park be located, Scott? The Brauer & Associates letter favors Memorial, though it does acknowledge the existence of a master plan for Memorial that doesn’t include a skate park. Ames, its second choice, was voted down by the council in 2009. Babcock was not recommended. If the City is actually talking about Washington Park as a location, that fits in with no master plan that I am aware of, and the the skate park would be even closer to neighborhood residences than at Memorial. In the video you posted, Scott, I also hear loud birds. And I wonder about the microphone placement. Would there be the same level of noise if the microphone were placed at the distance that separates the Memorial Park site from its nearest neighbors? Scott, I’m really pleased that you’ve joined the discussion here. I occasionally moderate the conversations so I think you can expect that things will remain civil. Neighbors have legitimate concerns, just as the skateboard group has legitimate desires. Finding an appropriate location requires balancing those two forces. Agreed! And we’re all fellow citizens of Northfield. 1. I’m assuming you are the author of the NESNA page you linked to. 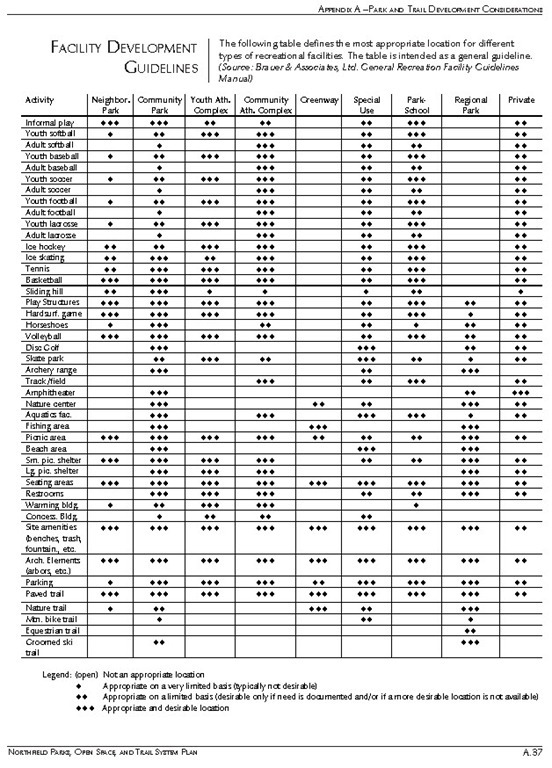 But unlike the NESNA blog posts, there’s no author indicated, so it would help to confirm that. 2. I know you’re a member of the NESNA board but has the Board taken any official action about this issue? It would help to know if you’re speaking for yourself or for the Board. 3. I’m assuming that you live near Memorial but can you confirm that? The NESNA page is a group effort. I compiled it from various documents NESNA has produced over the past few years (and including documentation from the City). The page was then vetted and adjusted by comments from other members of the NESNA board. The NESNA board did take action on this topic in 2009, when the topic was last in the news. At that time NESNA polled its membership at the annual meeting, where “skate park” came in dead last in a ranking of eight possible amenities. At that point the NESNA board decided to speak against this location for a skate park before the Park Board and the City Council. Assuming you have a Northfield phone directory handy, it’s easy to see that I do live close to Memorial Park. No one else has been asked about their address; however, using the same resource, one concludes that none of the people advocating for the Memorial location in these comments lives in proximity to the Park. I suppose that may explain a few things. In any case, I’m happy to speak with individuals by phone or in person, but I’d rather step away from online discussion. If there are new developments, NESNA will try to alert folks to them. It’s great that Rob has started to compile a list of skate park resources. I think the main thing now is for readers to actually look at these resources as they try to decide what is the most appropriate compromise in the competing wishes. I wanted to get back to you on why I’ve not asked anyone else here for their address. It’s a fair question. I think you’re the only one participating here who’s opposed to the Memorial Park location and so it helps observers to know if your location is part of the reason you’re opposed. It’s part of a broader expectation of declaring one’s conflict of interests. Hope that makes sense! I’d advise against making assumptions about my position regarding a skatepark. I am simply representing NESNA’s concern for due process in decision-making. If there are to be significant departures from the master plan that was agreed to before the pool was built, the City’s own comprehensive parks plan calls for an open and public process with neighborhood involvement. However, until the neighbors of any of the concerned locations can weigh in, we’d need to know exactly what is being proposed (how large a skatepark? situated where within the park? made out of what?). At NESNA, we did poll the membership during the last round of skatepark discussions, and it was clear how people felt about it. By now, though, attitudes may have changed. However, we can’t really find out until we know what is being proposed. It’s because all these steps need to be followed that the decision-making process can take longer. Scott, yes, I heartily endorse the need to have an “open and public process with neighborhood involvement.” I guess that’s another reason why the PRAB is focused on a temporary location decision at tonight’s meeting. Rob, I think ‘due process’ on something like this has to be pretty formal, ie, once the PRAB selects a park as its preferred permanent location, then public information and input sessions (F2F and online) are set up. Then the PRAB would make a decision on whether or not to proceed with a recommendation to the Council. Yes, Griff has put it succinctly. In fact, it’s not a question of NESNA’s definition of due process; it’s the City’s. Of course you are right, Griff. It’s nonetheless frustrating that six years have passed before “due process” has begun to creak into motion. On Northfield.org, I’ve attempted to compile an unbiased list of links to resources on the issue of a local skatepark. Please let me know if there are other resources that should be included. I’ve also linked back here for those who want to join this discussion. I would appreciate it if someone could provide me with a link to the Master Plan for Memorial Park. It is often cited (as precluding the siting of a skate park at Memorial), but I haven’t been able to find the document itself online. It ought to be available to the public. There’s a whole lot of additional files; I didn’t look through it all, but Happy Hunting! Kiffi: Thanks, I found that. It’s the master plan for the entire park system from March 2008, which includes a page on Memorial Park (which I’ve posted on Northfield.org), but which doesn’t seem to have the separate master plan for Memorial Park (which, as far as I can tell from the NESNA website, was adopted either in 2006 or 2004, as referenced here). The NESNA site includes a JPG of a rendering of the master plan, but no written document that I can find. Okay, I’ve updated the Northfield.org story to include the 11/21/05 council packet which includes a discussion of the Memorial Park master plan, along with a higher resolution image of the park layout. I think that’s it. Are you looking for the page on Memorial in the five-pager: Appendix A Jefferson to Memorial? I got that, Griff. Look at my beautiful post on NORTHFIELD.ORG. I want to urge everyone to attend the Parks and Rec Advisory Board meeting this Thursday, April 19th at 7pm in the Library meeting room. I plan to be there to speak in support of the Skateboard coalition. It is extremely important that the PRAB members hear your perspectives and see that Northfield community members support a skatepark. I’m told that the PRAB will be making a decision about the temporary location on Thurs. night. I won’t be able to be there (two other community meetings that night) but I hope others here can attend and report back. Again, IMO, there have been far better, more comprehensive and meaningful, “Community Conversations” in the coffee house. Kiffi, no, I’m attending the mountain bike meeting at the River Bend Nature Center tonight. From the PRAB minutes last month, available in the Packet for the PRAB meeting on Thurs. eve at the Libary. Chair Knutson distributed a memo with comments and concerns from City Council. Liability insurance concerned was addressed, as this equipment is Tier I, no additional cost for insurance for the City. Short-term versus long-term placement of the equipment was discussed. The equipment purchased is not made to be portable. Site discussion included Babcock Park, Riverside Park and Memorial Park. 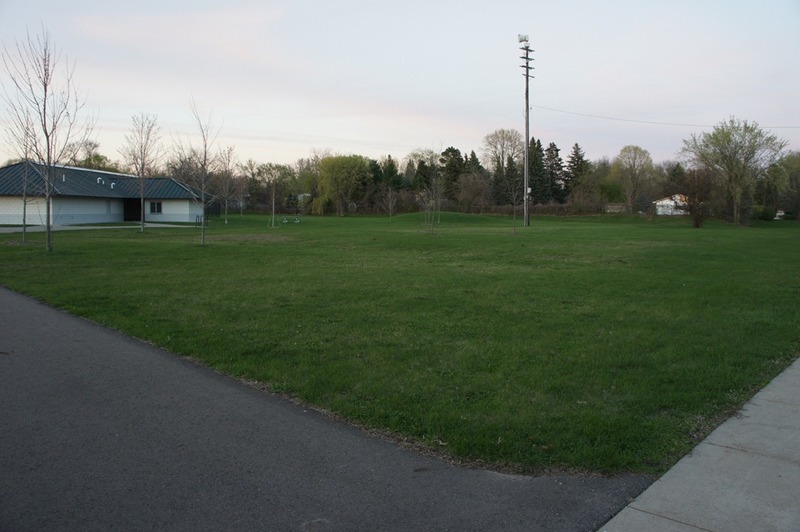 It was narrowed down to discuss sites that were already paved which include Babcock Park and Riverside Park. Babcock Park issues included DJJD event, the slope of the slab and semi-truck parking and turnarounds. The positive issues include that the slab is available and there are no near housing issues. Riverside Park issues included the proximity to senior living and DJJD events. Amy Merritt from the Key spoke on behalf of the group. The funds that have been raised are for equipment and facility use, not used for paying a monitor. Not a good use of their funds. They would be willing to spend $10,000 for the re-pavement of the temporary site. A discussion was held to why a monitor was a requirement for the skate park. It was not because of the height of the equipment, but rather for incidents at the Park. NESNA (North East Side Neighborhood Association) approached the PRAB to state their concerns about placing a skate park in Old Memorial Park. After listening to their concerns, they were advised that their concerns were premature, as the PRAB was not discussing a permanent site at this time. Past Chair Vanasek approached the PRAB and gave a brief history of the skate park discussion and the Park Board involvement. Chair Knutson proposed two alternate sites for discussion; behind the Safety Center and the slab by City Hall parking lot. These were discussed and found not feasible at this time. 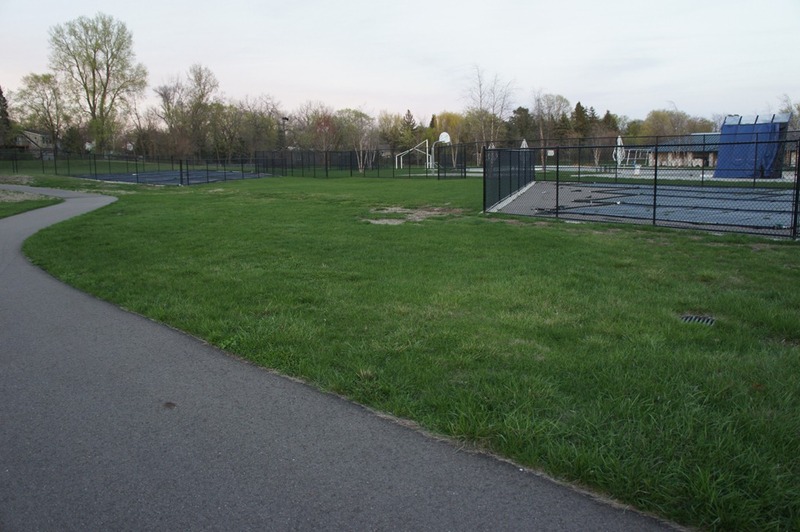 After discussion, it was decided that the PRAB would focus their attention on Riverside Park blacktop slab and allow residents to comment on the site at the next PRAB meeting. 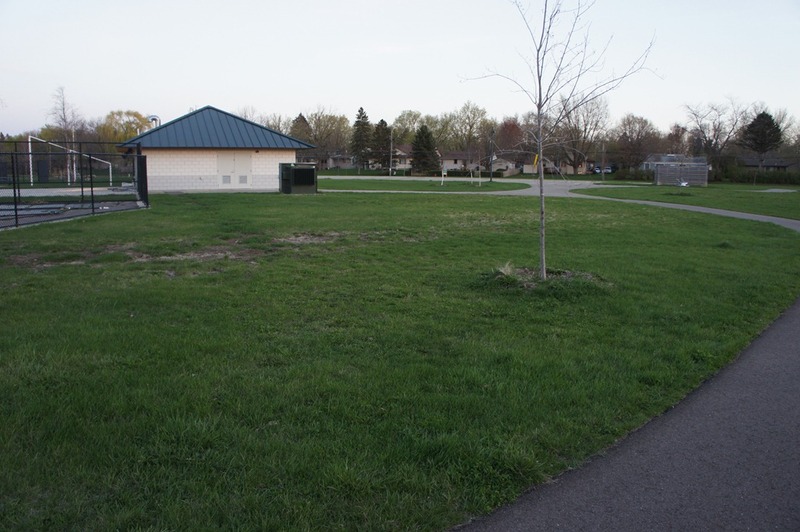 A Motion was made by D. Hvistendahl and seconded by M. Miller that the PRAB has agreed to focus their attention on Riverside Park blacktop area for a temporary skate park. Yes votes by Knutson, Hvistendahl, Miller, Johnson, Gehring, Lutsky. No votes by Clark. Motion carried. Why , oh why is the focus still on a “temporary” site? Can anyone give a cogent answer? hopefully one that will hold more water than a 3-year old’s swim suit top? We’ve had temporary skate parks before, and it really should be time for a permanent solution. Even if, as Scott says, fundraising and construction would take at least a year, it’s time to have a location where that construction can take place. Absolutely correct, Rob… why should the kids waste 10K on the paving for a temporary site? There is no cost benefit to that unless the money is not wasted by being spent on part of what would become a permanent site. Unfortunately there are elements in this community who simply don’t value the idea of a skatepark, or the kids who want it, and will find one excuse after another to stop any progress to that goal. In the NYTimes of April 6, and I mentioned this before (comment #5) there was a magnificent skateboard park built in NYC. It is a dreamlike concrete landscape to facilitate speed, and skill, and (almost) flight! It is beautiful, in its own right,as a sculpture. We would be so lucky to offer that to the kids and the community, just as a visual delight for the adults, and a realization of a long sought after dream for the youth . Kiffi, here’s the link to the NY Times photo of that skatepark you mentioned adjacent to Yankee Stadium. But it was, um, pricey! Skaters have a new place to show their skills in the Bronx, as city officials opened today a $6 million skatepark across from Yankee Stadium in the South Bronx. Speaking of other amazing skateparks, my friend Tom’s factory in Louisville, Kentucky, burned down in 2000, and the site became the location of Louisville’s Extreme Skate Park, which opened in 2002. Kiffi, that comment actually made me chuckle this morning. LOL. The Skateboard Coalition is hoping to use their new equipment this summer, which probably means a choice between Babcock and Riverside Park (both already have asphalt). Each location has its benefits and drawbacks for sure. However, I think the most important part of the decision tonight, is a solid commitment to choose a location for a permanent park by next summer. The coalition currently has $24,500 which they raised for a permanent location. This summer, we hope we can answer some of the unknowns, which will help to inform the permanent decision and address some neighbor concerns. For example, we can learn how loud the equipment realy is, how many square feet are needed, and any unanticipated issues. It is only fair for the park board, and the council, to support a multi-year commitment, rather than a one-summer “see how it goes” plan for a temporary location. An endorsement by the Parks & Recreation Advisory Board Thursday could return a city skatepark to Riverside Park — at least temporarily. But now there’s a letter to the editor from a senior citizen’s group that objects to the Riverside Park location. (see this link) It seems pretty clear to me that the skatepark is a MIMBY issue. The kids who skateboard are not all the varsity athlete or orchestra-playing, or AP-course-taking, boy- or girl-scout joining folks (i.e., the kids we LIKE in this community), and no one wants them too near their property. So the can keeps getting kicked down the road, and these kids keep getting treated pretty shabbily by our community. Kathie: The letter makes no mention of the fact that it’s the temporary skatepark that will be located at Riverside Park. Riverside was chosen because the existing asphalt pad at the location (from the old skatepark) will only need seal-coating to be ready for use. In any other park, there would have been a significant expense to create a pad for the skateboarding equipment. I don’t think Riverside Park is an ideal location for the skatepark, either. I teach a CVEC class at Village on the Cannon, and I appreciate the very real concerns of the residents. This is why I think it’s imperative that a permanent skatepark location be chosen as soon as possible, so that the arrangement at Riverside Park (if it in fact goes through) is truly temporary. The PRAB recommended the use of Riverside Park through October; after that, there should be a permanent location. I do think it’s unfortunate that skateboarders are seen as a problem to be avoided, rather than as an opportunity build a stronger community across generations. However, he failed to explain the nature of this perceived threat. I hope I’m missing something here. Patrick: It was reported at last Thursday’s PRAB meeting that, in the past, some residents of the Village on the Cannon (VOC) have felt verbally or physically threatened by the skateboarders. Because the driveway outside the main entrance of the VOC is essentially a ramp, it already attracts skateboarders (who ignore a No Skateboarding sign) who sometimes whiz past dangerously close to residents. At the meeting, skateboard advocates argued that a skatepark nearby would draw the skateboarders away from the attractive paved areas directly around the building. They also promised a thorough education effort to make skateboarders aware of their responsibilities, and of the consequences of unacceptable behavior. I think the skateboarders should be given the opportunity to show that they can be good neighbors and responsible citizens. Meanwhile, Noel Stratmoen has a good letter to the editor advocating for Old Memorial Park as a location for a permanent skatepark. In my post above I meant NIMBY, not MIMBY. And obviously I still need remedial work on creating links. I understand that having a skateboard park adjacent to any property carries noise and perhaps other risks. But I do think that this group of kids has waited patiently, raised funds, etc. etc., and the lesson that’s being taught is that there’s a gold standard in Northfield: Those that have the gold set the standards. I wish there were a group as powerful as the senior citizens’ lobby and/or the East Side Association to speak for the kids. Lutsky, Hvistendahl and Grace Clark spent six months studied previous reports about skatepark locations, interviewed people and groups who were stakeholders or who had concerns about a skateboard park, toured other parks and possible locations in the city, consulted with city staff and held a public meeting about the park. The report indicates that subcommittee member Grace Clark did not agree with the recommendation and would be voicing her own opinion. On September 13, the PRAB subcommittee held a public meeting to hear from potential neighbors of a permanent skateboard park. Nearly all of the fifty or sixty people in attendance were neighbors of either Riverside or Memorial Parks. I was out of town quite a bit around that time so I may have missed it but I find nothing online that indicates that the PRAB tried to get the word out to the general population about this public meeting and not just the two neighborhoods. Can anyone point to an announcement online that promoted the public meeting? I could be wrong but it’s hard to see how this skatepark issue will unfold in a positive way. The PRAB will likely want to support the work of the subcommittee, despite Grace Clark’s dissenting opinion. So it will likely go to the Council, at which point, lots of second-guessing will likely be heard, both by councilors and the public, especially Village on the Cannon residents and maybe others in the Riverside Park neighborhood. And I’ll be irritated because the skatepark location issue is one for the entire town, not just the neighborhoods, and there wasn’t any concerted effort to engage the wider citizenry. Yeah, we might get a permanent skatepark out of this but, like the safety center, it’s hard to see how the whole community will celebrate it. Maybe they’ve taken a page from the School Board’s “How To Ram a New Idea Through” playbook. I think you’re supposed to just accept it. And perhaps, bleat like a sheep. I guess a publicly posted AARRGGHH can be heard at City Hall. Curiously, not Grace Clark’s report, tho. You’re on a rampage this morning, aren’t you Griff? My guess is that the community meeting (really a “listening session”) at the Weitz wasn’t more widely publicized because it was intended to gather information from neighbors who might be most directly effect by the siting of the park. I’m guessing that, because the three-member committee of the PRAB didn’t constitute a quorum of PRAB members, open meeting law notification requirements didn’t need to be followed. But I could be wrong about that. Tonight’s meeting is open to the entire community.I agree that this issue is one for the entire community. How do we balance the need to address the concerns of immediate neighbors (concerns about noise from a skateboard park, for example) with the need to provide an amenity that serves the youth of the community as a whole? It’s easy to decry NIMBYism when the thing being objected to isn’t, in fact, in your own back yard. But in the end, Memorial Park doesn’t belong to NESNA, any more than Riverside Park belongs to Village on the Cannon. We need to figure out how to act for the good of the entire community, which sometimes means accepting change in our own back yards. Rob, I’m not concerned about whether open meeting law was adhered to on that Sept. 13 meeting. My issue is that the PRAB needs to help the general public understand the complexities of this, get their input/collective intelligence, and THEN come to their best conclusion. After months of work, the 3-person task force couldn’t resolve their differences. That’s not necessarily a bad thing. Reasonable and well-informed people can still disagree. But regardless, the broader citizenry deserves a chance to learn, contribute ideas, and voice its opinions, too… before everything’s been baked and delivered. So, that’s five years. (Then-) Skatepark spokesperson Joe McGowan has probably graduated from college by now. Gosh, maybe he should be appointed to the Park Board. At a recent NDDC Board meeting, we discussed drawing visitors to Northfield. It has been suggested that our amenities are very attractive to women and couples (the historic downtown, scenic river…and restaurants, retail and services?) but less attractive to men and youth. Indeed. I read through (quickly) the 2 reports–they’re thoughtful and I think Northfield needs to reach a decision soon. Enough with the info gathering, listening, debating, consulting. There is no perfect solution that is going to make everyone happy. FIVE YEARS is a ridículous amount of time to spend trying to make everyone happy. Enough. Kathie, and I think it’s ridiculous to spend 5 years on this and to never have bothered to engage the broader public in a deliberate, concerted way. It’s not about trying to make everyone happy. Griff: I understand that communication is always something that can be improved, but I also think that members of the community need to make their own effort to find information about and become involved in issues that interest and affect them. I am not on the NESNA mailing list, nor am I an immediate neighbor of either of the proposed sites, and I first became interested in the skateboard park issue through following it here on LocallyGrown and in the Northfield News. I made an effort to become involved. I didn’t wait for Google to implant an alert system in my brain; I decided this issue was important to me, and I made an effort to stay on top of it. I think it’s often the case that those who want to be involved and engaged, seek out those opportunities; others sit back and complain about the process. Rob, I think of local public engagement as a spectrum. On the one end are the citizens who run for public office and serve on the boards and commissions. On the other end are people who only vote. I think there’s a significant number who, with the right approach from City Hall, could be brought into the middle someplace… not at the level of engagement that you’re at on this skatepark issue but significant nonetheless. And if they come away feeling good about the experience, there’s a likelihood they’ll do it again on another issue and maybe even turn up the engagement a notch. And besides, I don’t think the skate boarders want to be violently executed, anyway. John, this is exactly why you will never be known as John “Old Blood and Guts” George. Don’t ask me about tonight’s Parks and Recreation Advisory Board meeting until I’ve calmed down for a few days. The Parks and Recreation Advisory Board postponed until its next meeting a motion that recommends a permanent site for the skateboard park in Northfield. Board members, skateboarders, residents of the Village on the Cannon and others spent the majority of the board’s meeting Thursday night discussing the benefits and disadvantages of the potential park sites: Memorial, Riverside and Babcock Parks. 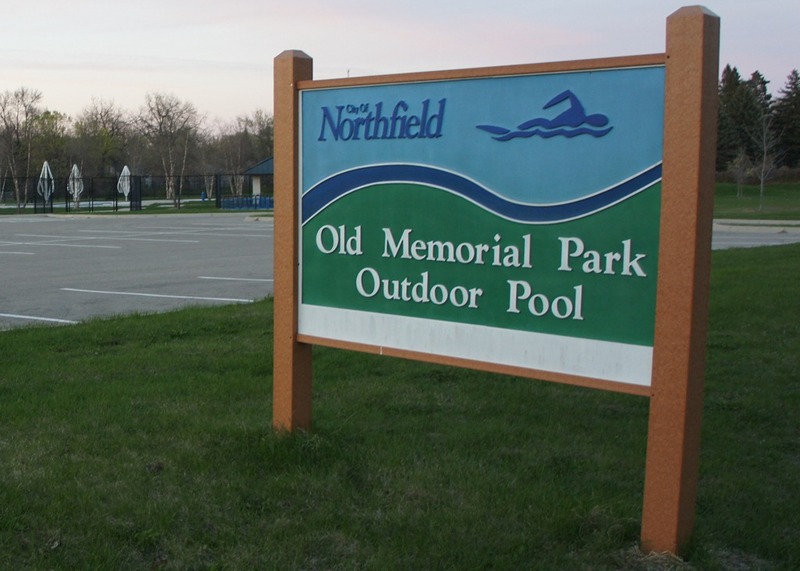 David Hvistendahl made a motion to present a recommendation to the Northfield City Council, which ranked Riverside Park as the board’s first choice and Memorial Park as the board’s second choice. The motion was later tabled to allow the board to explore a new site at the YMCA, which was an idea presented by members of the public in attendance. I left the meeting with a splitting headache, and managed to get into the privacy of my own home before I exploded in a fit of rage. 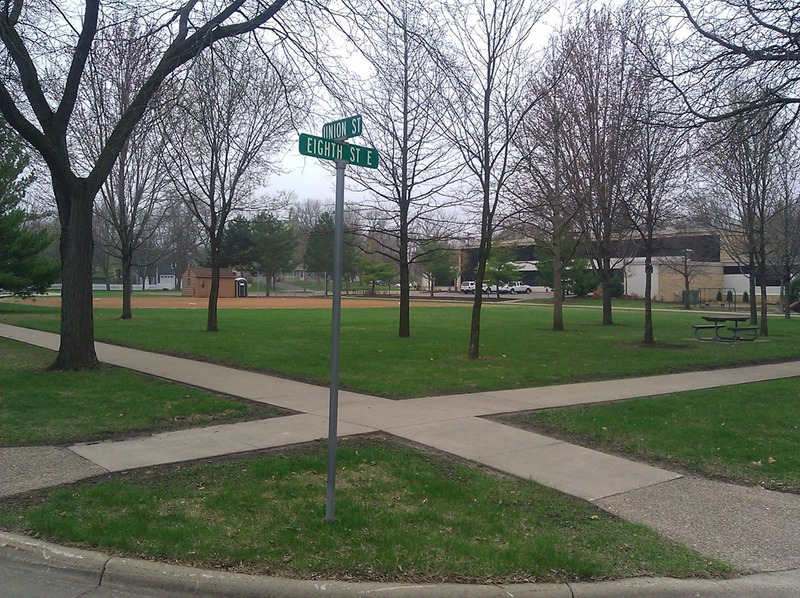 The reasonable opinion of the Lutsky/Hvistendahl report was to locate a permanent park closer to the highway in Riverside or in Memorial, arguing (correctly) that Babcock Park is too peripheral and unattractive, too far from downtown and The Key. They were on the verge of voting on recommendation, when the PRAB chair (who is also on the YMCA board) convinced them to table the motion to explore locating the permanent park near the YMCA. Note: the YMCA is currently undeveloped, is not a city park, and is way out behind Target. As far as I can see from my walks out there, it is not ideal land for a skateboard park (not level), and would require extensive site preparation. In any case, it would be an option that would tell the skateboarders that the city wants to pass the buck to the YMCA, that it wants to shunt them aside again, and that it doesn’t want them as an integral part of the community. It was the wrong idea from the beginning, and seems only to have been raised as a delaying tactic. As I said in an email to the mayor and city council after the meeting (to which only the mayor has graciously replied), Northfield’s youth are going to think they have to wait until they themselves are residents of the Village on the Cannon before the city will listen to them. I had the same reaction to the meeting as Rob; one more delaying tactic, and a poor one at that. But the thing that made me the most angry was the general tenor of the Board (who I have always previously fully supported) ; it was listen to the community adults who spoke, and ignore the kids. At one point, the Chair asked the skateboarders who were there to give their opinion on the Babcock Park site, and when several did … and rather eloquently … one of the PRAB members, Grace Clark, argued with the testimony that was asked to be given … argued directly with the young man .. rather than respecting the answer he was asked to provide! I was appalled; actually too appalled to speak because I was sooooooooo angry. What I find most appalling about this whole process is that these kids, 6-8 years ago, were told if they could behave like ‘adults’, work through the process, raise money, prove that THEY could be ‘responsible’, they would eventually succeed. It is just not understandable; it is not reasonable; it is not fair, it is not respectful … and most of all, it has set a poor example … no, a shameful example … to the youth. Kiffi:In my experience, that is how the board member in question has treated everyone throughout this process. At one meeting, she claimed that there were significant soil issues that would preclude locating the park at Memorial. I presented an email from the city engineer contradicting her. She argued with that, basically insinuating that she knew more than the city engineer about the soil profile of the park. This is only one example out of many. Hah. I don’t think the YMCA site was a suitable location for the YMCA, much less additional youth amenities. By the way, Richfield (where I live right now) just completed a skatepark similar to the one proposed for Northfield. They did a little video introducing it. It’s in a community park, across the street from a number of single-family residences, but I don’t think noise has been an issue. thanks for posting the video link Sean. I found it interesting that noise is a worry. the two men in the video had a conversation with skaters in the background and noise was not an issue. If noise is really a problem, a sound fence could be built to deflect the sound toward the river. Here’s a new skate park in Richfield, Tier 1, built as a concrete street plaza similar to the Skateboard Coalition’s original design for NF. It cost 100K, and is across the street from residences. The ‘noise’ occurring just behind the gentlemen speaking is neither loud , nor offensive, and would certainly not be so 150 feet or more away, which has been stated to be intolerable here, at meetings where opposition is strong. Griff: as to your comments about lack of opportunity for public involvement , I would suggest that this has been gong on for so long, you have simply forgotten. It was front and center for many months at the Council; there have been many public meetings hosted by Council, Key/Skateboard Coalition, PRAB… and the most recent public “listening session” at the Weitz was attended by 85-95 people. I have personally spoken, strongly in favor of the project, at public meetings for at least 5-6 years. The same objections always come up, and their is no tolerance for listening to any solutions. One of the big objectors is NESNA. I have a lot of close friends in that group, but I think they are way out of bounds on this one. I want to repeat what I said in # 25: This community has ‘red-lined’ their own kids, and blithely continues to do so. I agree with your perception of the video (just watched it) as well as your perception of the process. Or lack thereof. We ARE redlining these kids. And it really stinks. Kiffi, I didn’t say there was a lack of opportunity for public involvement on this skatepark issue. I said that there’s not been an effort by the Council or the PRAB to “engage the broader public in a deliberate, concerted way.” Big difference. And I think that that, in part, has contributed to the long process on this issue rather than any redlining on the part of the Council or PRAB over the years. With the Safety Center being front and center at the same time, it’s somewhat understandable that the City’s leaders haven’t paid much attention to the relatively small numbers pushing for a skatepark nor the small number opposing its various locations. As a matter of fact, the current chair of the PRAB is very lenient with speaking time for citizens, often letting people re-enter the conversation several times. This is one issue where the public has had so many opportunities for input; I’m sorry you missed the big listening session at the Weitz Center. I do not think it is the Council, and certainly not the PRAB that has “redlined” the kids; it is the people of the community who do not want the skateboard park ‘next’ to them… and “next” is a very relative term. …What I’ve learned is I have to get engaged, attend the Council meetings, take time to share my thoughts. I’ve found that very few citizens show up to Council meetings. I encourage people to get engaged, come to the meetings, take the time to read the agendas and packets that are online before every meeting. Make your voice heard directly to Council, email them, call them. Participate with your vote on election day and follow through with regular participation. Trust me, the Council won’t come knocking on your door to ask how you feel about something. Jennifer Sawyer wrote a letter to the editor advocating for Rhonda Pownell, and that letter is easily findable on the NFNews site by copying in the last line of the letter into the search box, hit “go”… and the letter comes right up. Eve Webster wrote a letter to the editor (10.17) questioning Ms. Pownell’s vote on the Council statement re: the marriage amendment; If you follow the same copy and search method described above it says “no results are found”. Now I know the paper is favoring Ms. Pownell, but to the extent of altering the online record ? a record which lives ‘forever’ as opposed to the print version ? The PRAB met last night and has recommended Riverside Park for the skate park. The Parks and Recreation Advisory Board passed a skate park site recommendation, which ranked Riverside Park first and Memorial Park second. The recommendation will be sent to the Northfield City Council for consideration. Board Members David Hvistendahl, Neil Lutsky and Dale Gehring and Board Chair Nathan Knutson voted in favor of the recommendation. Board Member Grace Clark abstained. PRAB Member Mel Miller was absent, but e-mailed his preference for Memorial Park prior to the meeting. Jane McWilliams also reported on the meeting for Northfield.org, and her story was picked up by Northfield Patch. So now what? The lame duck City Council studies it? Their meeting gets visited by various neighborhood groups who don’t want “that” noise (and “those” kids)? Kathie: It seems to me that, because this process has, indeed, dragged on for a long time, some people have begun to lose their faith and their tempers, and their attitudes have hardened. This has also happened to some of the older youth, who have been disappointed for too long, and who have, unfortunately, become cynical about the process. But what I find remarkable and hopeful is how some of the younger skaters, and youth leaders like Frank Meyer, have stepped forward and advocated for their cause with consistent passion and grace. In the midst of angry words from adults in the room at last night’s meeting, Frank made a calm and respectful statement. Out of respect for the youth, who have really been my role models in this process, I have tried too keep my own frustration and sarcasm and occasional irritation under control. The youth want to work collaboratively, and develop relationships of trust, and to be part of a community that respects them and is itself worthy of respect. And despite some heated words during last night’s meeting, and plenty of pressure from irate neighbors, the PRAB went ahead and voted to send their recommendation on to the city council. In my opinion, they acted with courage and principle. I think the city council is capable of doing the same. Both Rhonda Pownell and Erica Zweifel were in the room last night, taking copious notes to prepare themselves for the discussion at the council level. I admire and respect both of them, and think we are fortunate to have two such conscientious people serving Northfield on the city council. At this point, instead of succumbing to cynicism, I’m prepared to trust that the council, “lame duck” or not, has enough integrity and concern for the common good to decide this issue on its merits, for the good of the entire community, and not yield to pressure from a few people whose opposition has hardened against change or compromise. Yes, I am being idealistic. But I’ve been spending a lot of time with the youth of Northfield, and their attitude has rubbed off on me. One of the ways I can serve them is to share their spirit of optimism, patience, enthusiasm, trust and good will. Thank you for your positive words, Rob. I believe that the seated Council is capable of making a decision based on the PRAB’s recommendation–whether they go with #1 or #2. Four votes. Keep it simple. Rob (and Mary): I hope you are right. I truly do. The kids have kept the faith, done the work, been patient, worked within the bounds of a cumbersome process. They more than deserve this matter to be decided, and not kicked down the road again. And the community as a whole needs to recognize that the kids ARE a part of the community. I fervently hope that Mayor Rossing is correct, and that the approval of this long awaited skatepark can be kept “simple” ; in the best of all possible worlds it, will be a unanimous, not divided vote, in order to quell ‘neighbors’ resistance. Throughout this long process, the PRAB has been very generous with its public comment time, asking only at this last meeting that only those who had not previously spoken, or those who had a new point to bring up, speak. The kids respected that request; some adults did not, and indeed, after the vote, stood in the room having a very loud conversation, while the Board waited to finish its agenda. NOTE: What is clear from his comment above, is how lucky the community in general, and the kids specifically, are to have ( Dr. ) Rob Hardy on the School Board. Ok, call me clueless, but why isn’t the skatepark on the City Council agenda for tonight? Kathie, I don’t believe there was time to get in on tonight’s agenda. It will be discussed at a city council work session next week to prepare to take action. Meanwhile, I’ve blogged about it on Patch (and drawn some angry comments, despite my attempt to maintain a reasonable and accommodating tone), and Jane McWilliams (a neighbor of Riverside Park) has also blogged in favor of the skatepark on Patch. It has been my observation, Rob, that the most long term and vocal opponents, and proponents, of the skatepark have become so entrenched in their views that none are about to budge. And I also will willingly admit that those who object most strongly accuse the proponents on a personal level, as being found wanting somehow in their process; it’s not kept to the issue of the site, the noise, etc…. so that seems par for the course. But in the end, the long term losers have been the many kids who have essentially been told there is no place for them here; we can find a place in city parks for baseball players, soccer enthusiasts, and swimmers, but not skateboarders. Thanks for the info on the agenda, Rob. I have read your blog and the responses. You pled, in 28.2.1, for adults to control their irritation, sarcasm, and general negativity. So I won’t comment further :). I just spent half an hour trying to write something here that might bring a reasonable perspective to a possible acceptance of a site.. and then accidentally deleted it! maybe that was totally apropos, because it only replicated the frustration of the entire skateboard park process. I’ll not try to write it all again; it’s all been said well by others. I only hope that the Council can make a decision on a site, and that there will not be lasting ramifications of that decision … threatened lawsuits, etc. If you get involved in anything in this town, even with the best intentions, it’s amazing how fast people will come out and call you “divisive,” or worse, or put words in your mouth that you would never actually say. I am trying to keep a positive tone and attitude, but some people are really testing that resolve. I applaud the youth who have continued to push for a skatepark after years of this BS. I think there’s a valuable life lesson in all this:Your government does not care about you. Skateboarders do not fit into the image that the movers and shakers in this town want to cultivate. They care about property values, they care about their businesses, and maybe if you were football players or something, they would care about you. Until then, there will be another decade of passing the buck, stalling and police harassment to look forward to! Who is in charge of the money that has been raised thus far? Why not set up a Non-Profit and get this done without interference from the city government? John: your Pogo line is a great reminder… Isn’t it sad that the community has been treating its own kids as if they were the enemy? I hope the Council can deal with this without starting a whole new round of objections. One good thing I’ve learned from this process is that Northfield has some amazing young people. I do think that the city government realizes that the skateboarders are a very deserving and currently underserved population. The PRAB has been very supportive over the past year, as have members of the city staff like HCI Making a Difference award winner T.J. Heinricy. I do think the city government cares. I also think the city government cares about the concerns of homeowners, property tax payers, neighbors with a sensitivity to noise, etc. It’s a difficult situation. I think it’s a situation in which some people will have to give something up (for example, a neighborhood free of skateboard sounds) for the common good of our youth. That’s a hard sell, and I’ve been personally attacked for suggesting that potential skatepark neighbors should start focusing on the opportunities for building community instead of the problems that might arise from having skateboarders in the neighborhood. The skateboard coalition has raised funds, for which The Key, as a nonprofit, functions as fiscal agent. I think we can find the money to build this thing. Collective good will is much harder to come by. Community good will is always harder to come by in NIMBY situations like this. But if the public engagement process is not handled properly early on, it’s even tougher. It quickly becomes we vs. they. As a future councilperson, I would be interested in hearing why you think the skateboarders are “deserving” and “under-served”. I’m impressed by the skateboarders fund-raising efforts, but shouldn’t the skateboarders be the ones striving for goodwill with potential new neighbors rather than the other way around? David: The skateboarders are deserving because they are kids of this community who would like to have a park facility for the sport they are interested in, and are only asking for the small space, not huge acreage for soccer and baseball. They are further deserving because they have politely persisted for at least eight years, raised at one point 30-40 K $$, without even having a location in the foreseeable future, and they have complied with everything asked of them, by the city. They are under-served because there is no park space for them,and there was a very punitive ordinance written against them using any public space DT, and the process has been so frustratingly slow. Furthermore, they have been declared by even the opposition neighbors at the Village on the Cannon, to have been polite , friendly, helpful, during their time at the temporary location this past summer, and have shown the utmost restraint when speaking to the Council or PRAB. If you do not know of the comments regarding “goodwill”, then you have not been adequately following the conversation. Kiffi sums things up well. From my new council perspective, I was looking for a way to differentiate between deserving and under-served from undeserving or adequately served. Are the skateboarders different from the Y? The Y is “deserving” and they are seeking to help the “under-served”. Would you support the city giving the Y a substantial amount of money? I believe this discussion is missing the key issue. 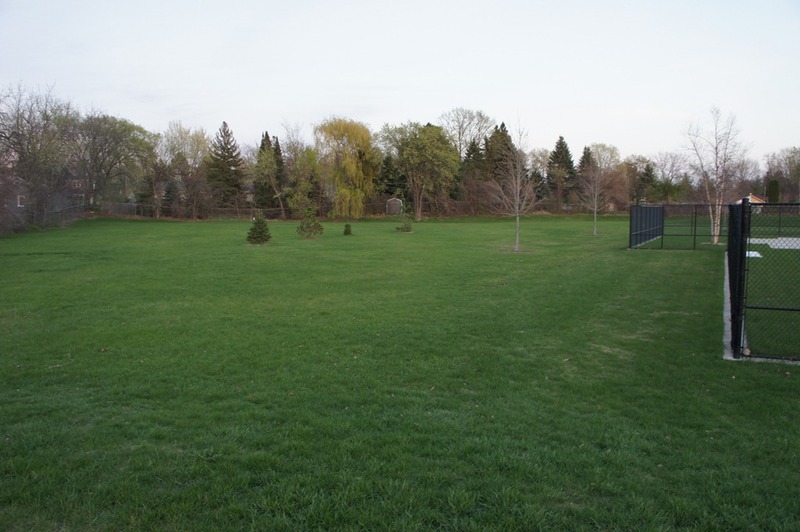 The Park Board has partnered with community organizations to address needs in Northfield Parks (e.g., with Friends of Way Park). This is a means of enhancing parks and saving limited public funds. As I understand it, the Park Board has a small fund designated for park development, and it is from this fund that it would like to contribute $30,000 towards the development of the skateboard park. We are fortunate to have a Skateboard Coalition that is seeking to help bring a skateboard park to fruition with the City. Note that the skateboard park would be a public entity in a public place, a city park. We would not be contributing to one organization or another; we are trying to do something to enhance a city park. The contrast to the Y, as deserving an initiative as that is, has nothing to do with enhancing a city park. David … Of course the skateboarders are different from the Y; the Y is a private organization, and the kids are residents/citizens, as you are. Providing some city money(actually PRAB funds) is simply providing for a park facility for residents of the community. I thought the criteria was deserving and under-served. Good Will is great, but It’s not like the PRAB or the council needs to get permission from Joe Homeowner to make a decision. It’s a losing battle to try and please everyone and if someone doesn’t understand that then the last place they should be is in Government. This wouldn’t be so frustrating, but the objections to the skate-park that I have heard read like they are coming from some codger on his porch rocking chair. If you own real estate by Riverside park, you’re in the flood plain, or you own a Condo that was built at the height of the Bubble. Either way A skate-park isn’t gonna make it any worse. As for Old Memorial, I think the White Collar East Siders have already legislated for their own benefit enough with the ridiculous (Possibly illegal) rental ordinance. The noise level of a skate-park is no worse than city traffic, and this can be largely mitigated with the right methods. Hi all, first time poster, new to Northfield. I would just like to say as a former skateboarder/rollerblader I’m embarressed every time I go home and pass by the public spaces/private buisnesses I vandalized by marking up curbs with wax (so the board will slide over concrete). If the town I grew up in had a skatepark then, as they do now, many a buisnesses (and to my shame churches) wouldnt be left with this seemingly permanent eyesore. For this reason I think a skatepark should be pretty high priority. And Im also shocked by the skateboarders of this community, the skating community when I was growing up was definately not this organized/patient. It’s certainly looking to me that next week, the Council is going to approve the Riverside Park location recommended by the PRAB. What they’ll do about kicking in the $30,000 also recommended by the PRAB is probably the bigger unknown. Do you like that location? Will Oney, how about you? I think Riverside is an ideal location. Since many Northfield skaters are under driving age, It should definitely be downtown-adjacent. I’m also pleased to hear that the park is to be concrete construction. Way, way back when the first skatepark was around, it was often closed on hot days to avoid damaging the asphalt as it softened. Also, since Riverside park is prone to flooding, I think there would be some major longevity problems with anything except concrete. The current site is a good one for a Semi-permenant skatepark. IE the skate ramps they have now placed on a newly resurfaced asphalt pad for the forseable future. I can imagine a time when that land is worth a whole lot more than a little skatepark so instead of building a huge permanent concrete skatepark at riverside, resurface the asphalt and setup the ramps there during summer. I think that would be the make the most sense. Relatively cheap, and allows us to relocate it if we have a bigger and better idea for the land in the future. Not only did the Council vote unanimously to accept the PRAB’s recommendation for Riverside Park and $30,000 from the park fund last night, they also voted to kick in an additional $30K from a to-be-determined source. refreshing to see a unanimous vote and the money. I’m genuinely proud of the City Council. After last night’s meeting, I’m practically speechless with gratitude and pride in our city government and in our youth, who have really been models for the rest of us throughout this process. An historic milestone was reached last night, but there’s still much work left to be done. We owe it to the residents of the Village on the Cannon, and to other neighbors and users of Riverside Park, and to the skateboarders, to create a park that everyone can be proud of and enjoy. I think the Council’s decision last night, and the positive and thoughtful manner in which they approached the issue, will help the community to come together and work hard to achieve that goal. A “to-be-determined source”? Does the council have a source other than the taxpayers? David L, you’re right, taxpayers are it for the $60K. I just meant, as I think you know, it’s not been determined which municipal fund will be the source of the additional $30K. The Parks fund is the source of the initial $30K. 1. about 6-8 years ago, when there was hope of getting a skatepark, although there was no site designated yet, there was so much support from adults for the idea that the kids raised 30K+,which was held by the Key, as their fiscal agent. For instance, they were asked to pay for the asphalt resurfacing at the last location. I think that was about 3K, although TJHenricy might have found a grant for that, rather than the kids having to pay for it. 3. Their years-old grant from HCI would have expired at the end of 2012, if plans for the park were not activated by then. I suppose they could have re-applied, but the $$ for next year would have already been designated. So … after 16 years, since the DT skateboard ordinance was written, and the then promised park was more than ‘elusive’, shall we say … now there is finally a commitment. PLease don’t begin ‘nay-saying’ that long awaited goal /. Wasn’t the first $30K gift enough of a commitment? Why add another 30K that wasn’t even requested? Ummmm….to get this done, finally? To show good faith to the kids who’ve been patient all these years? To give more resources to address the noise concerns of nearby neighbors? I wasn’t at the meeting so don’t know for sure—but any of those, or some combination of them, seem very plausible. If the council doesn’t have a gift policy, it might be time to develop one. By all means, develop one for the future. Just leave the kids with this one gift–they’ve more than earned it. I hate to sound like Scrooge but there are 2 gifts – $30K each – 1 requested, 1 not, and neither “earned”. On this, we’ll just have to agree to disagree, David. Six years of patience seems to me like they’ve more than earned it. In the first place, David, this is not a gift; it is the development of a park facility … and one that was first promised 16 years ago ! What other park development, discussed, took as long to become a reality ??? Are you suggesting that the PRAB should not have the discretion to use 30K from their funds? Would you care to raise that question at the next PRAB meeting? I strongly disagree with your evaluation of a gift “not earned” … It has been 6 years since just the latest iteration of this discussion, and these kids have done everything that has been asked of them: they have been patient to the max, they have listened respectfully, they have made their case at PRAB meetings and at council quietly and respectfully, they have complied with every requirement for the use of the temporary park last summer, and even the VOC residents verify that compliance. Sorry … but you will definitely have to wear the Scrooge nightcap on this one. Another 30K for the kids! YES! These kids have shown us how important this is to them and how much they are willing to do to get this done. It is time, we the tax paying citizens of Northfield showed our appreciation for what they’ve done and how they have handled themselves. I am so proud of them and of the current Council as well as the Park Board for getting this done. Good job!!!! I understand David’s hesitation about what might at first appear to be excessive financial support for the skatepark. However, I don’t see the second $30,000 as a gift to the skateboarders; it is, instead, an important recognition by the city of the needs of neighbors. From what I understand, the second sum has been given to make sure that the skatepark is constructed of appropriate materials (i.e., high-density concrete) and equipped with design or landscaping elements (berms, etc.) that can direct noise away from residences. Without these commitments to appropriate construction, we’d be left with a rough cement slab bearing old steel equipment — a setup you’ll be hard-pressed to find in any residential area of any community. The proposed site at Riverside is already highly unusual because of its proximity to residences. The addition funds are crucial in order to protect the quality of life in the surrounding neighborhood. On those grounds, I applaud the dedication of the additional monies. Thanks for the explanation. Was that reported somewhere? I don’t actually have the article in front of me (I’m out of town at the moment), but wasn’t that described in the Northfield News article? I took that to be the gist of Erica Zweifel’s comments as she made the motion for the additional funds. Peterson White said that she would do “everything possible” to address residents’ concerns, including noise, traffic and safety. Money from the city will help address those issues, said Council Member Erica Zweifel, who made the second motion to commit funds. I think this is a great finale to a rather trouble-strewn process. Just a thought about gifts, I wasn’t aware that one had to “earn” a gift? I give gifts to my wife, children, and grandchildren just because I love them. (Although, there are some in the peanut gallery who would say they “earned it” just by putting up with me.) Either way, the commitment to do this project correctly from the start will certainly prove cost effective in the long run if the city does not have to tear something out to redo it correctly. Amen … and thank you, John ! Unfortunately, gifts like this set a difficult precedent for future councils. I do agree with the analysis about costs; doing things well is usually cheaper than doing them poorly. If we are to have a skate park (and I don’t see an obvious problem with that), it seems better to have it cost less and be good than cost more and be mediocre. and (2) why you find it to be not “deserved” after a sixteen year wait, since the first time a skateboard park was promised during the Rossman Mayoral time ??? (3) Is there something about skateboarders that you find to be not as “deserving ” as any other group of kids ? (1) It is a gift because they did not provide a good or service to get the money. (2) Just because they waited doesn’t mean that they are deserving. (3) No. Other groups of kids aren’t getting $60K. What did we just teach every other group in town that wants money for their own special cause? It is bad fiscal discipline. I don’t understand exactly why you’re using the term “gift.” And your respond in 48.1 provides no clarity on the matter. You say, “it is a gift because they did not provide a good or service to get the money.” Are the following City expenditures also “gifts”? Once I am on the Council, I would hope the Council will establish a systemic approach to dealing with these discretionary appropriations of taxpayer dollars. There are many needy, worthy, and deserving causes in Northfield. I am not convinced that any money, let alone $60K, to skateboarders is anywhere near the top of the list. Granted, I have a much closer perspective. Every increase in spending by the city means that I have to pay once at home and three times at the office. I may be missing a distinction. Can you point to an example of a park or such program the city has done that you would not consider a “gift”? So far as I can tell, the city is not taking property they currently have and giving the title to someone else; they’re spending money to develop a city park. The city has had parks the entire time I’ve been here, and has spent money on improving them on some occasions. Were these all gifts? If not, how does this one differ from the others?